rom 1970 this space in Amsterdam worked as an artist studio. 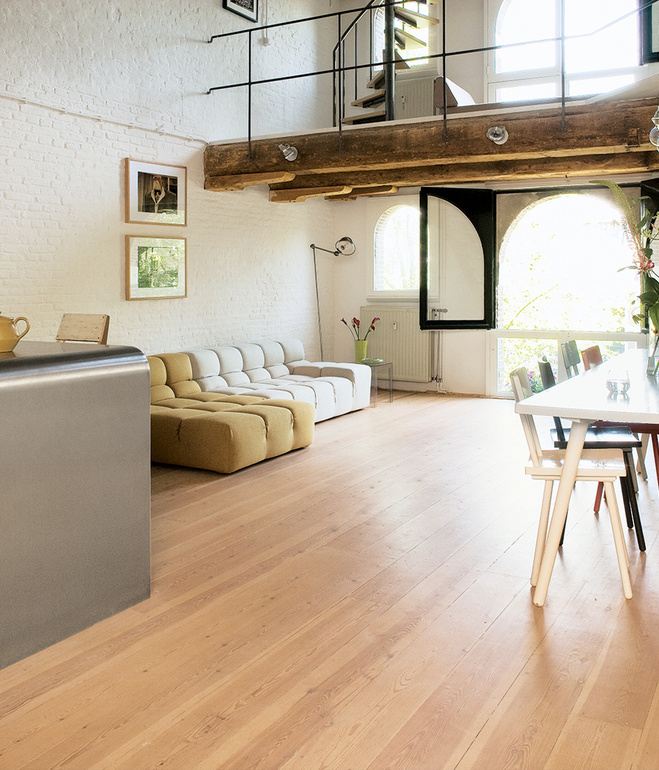 This loft style apartment in Amsterdam bribed me with somewhat indescribable attraction and mood which it provides. Even though there‘re not a lot of photos, it‘s not difficult to notice without even having read a whole story, that there‘re a lot of hand-made works, authentic and natural materials in the flat. Well, and now a piece of history for those who haven‘t managed to see a beauty of this interior yet. From 1970 this space in Amsterdam worked as an artist studio and there were plenty of various paints, linens and a mess (probably you imagine how an artist‘s workshop looks like). For some time a young couple – Hunter and Shelby had looked for renovated flat which would have been possible to live in at once. When they first visited this loft, they immediately loved it but just after some time they understood it. Despite the fact that a space was not appropriate for living there (there were no kitchen and bathroom), a couple noticed some pluses and had a hope that this place could be turned into a nice and youthful living space. They were indescribably admired by a space lasting through two floors which was never seen before while looking for a flat. A handmade brick stonework and wide oak beams also admired them. The couple told that all loft-style flats they were looking for were practically the same, but this one took place in their minds at once. However, it was decided to look for a flat which would be prepared for moving to it immediately for a while. Probably, it‘s a destiny, but in two weeks they came back – the flat was still to be sold and of course the couple benefited from this situation! Hunter and Shelby had a lot of work: they had to pass the wires, to tile floors, establish a new kitchen and bathroom and change the ladder into normal stairs. They didn't want to change the structure of the plan itself, the only renovation which changed the plan a bit was two new partitions made of bricks. Two new brick partitions were created to establish additional place for a closet. It was the most important for a girl to create a comfortable and functional kitchen because she cooks every day and there was just the lonely cook in the new flat. 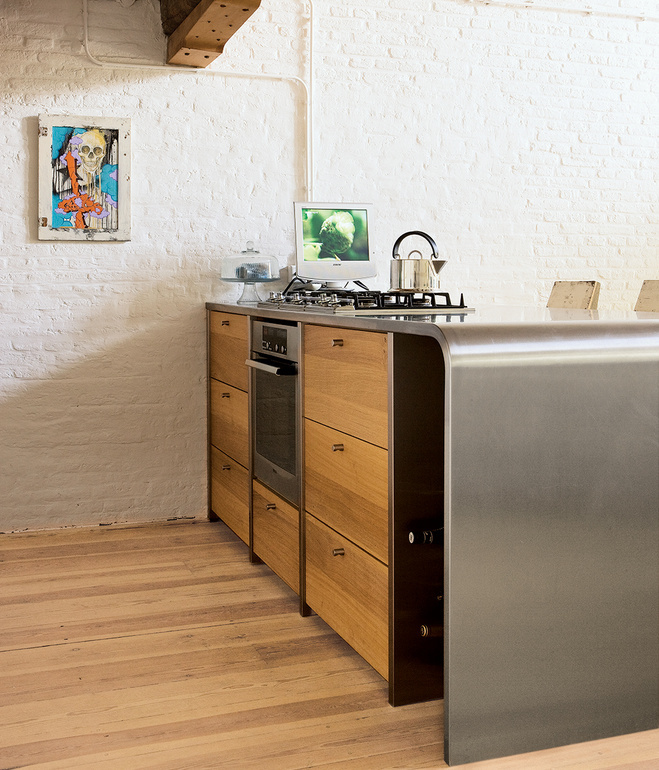 As far as as little as possible invasion into an authentic environment was wished, steel was chosen for a kitchen worktop. Of course steel is a cold material, therefore, to create an impression of warmth and coziness, the angles of the steel worktop were made curved. The couple themselves painted a brick stonework in white, they just left one wall unpainted so that it reminded the past of a building. There were wishes to restore the beams, but the couple didn't dare to do that. The girl encountered the numbers, paint spots and signs which show that a lot of time ago the workers did a great job in this space, so the couple didn't dare to change this hand work in one or another way. 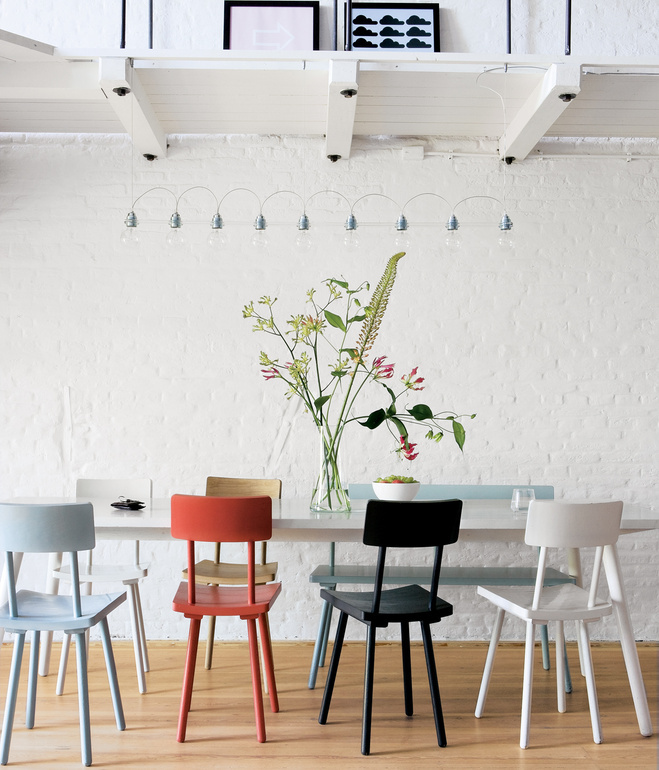 When it comes to furniture, American (the couple comes from America, but temporarily worked in Netherlands) and the Dutch design furniture are designed and the result of this job of the couple is perfect! 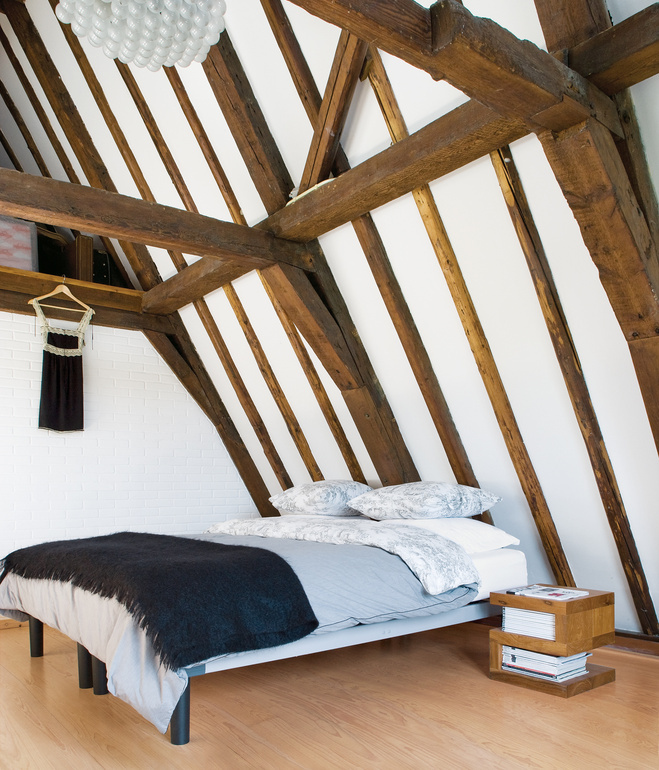 And now I‘m inviting you to explore this flat in Amsterdam!